The start line is in Malcesine (Loc. Paina. At the foot of Scaliger Castle) and the finish line is up to Monte Baldo at Cima Pozzette or Loc.Tratto Spino. The real uphill race starts just before reaching the first kilometer and stops where Monte Baldo meets the sky clouds! 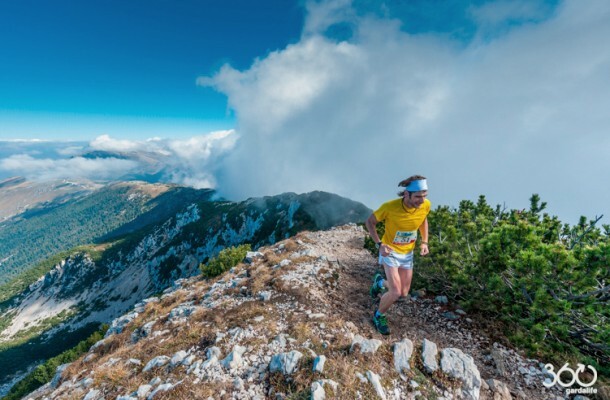 The Ultimate Running Class, won in 2014 by the six-time world champion Jonathan Wyatt (Team Salomon – time:1h 27′ 26”), is open only for runners and brings you to Cima Pozzette. The path is about 12,5 km long, ascent 2000 m.
The 1700 non competitive Class is open also for walkers and nordic walkers and brings you to Loc. Tratto Spino. 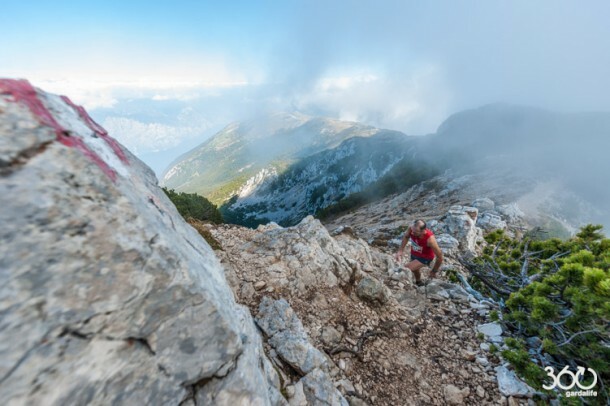 The path is about 9,5 km long, ascent 1700 m.
The Lake Garda Mountain Race has seen growing for the fourth consecutive year the number of participants. More than 200 people climbed the slopes of Monte Baldo and among them 50 foreigners from eight different nations. The race has made a name in the circuit of mountain races and attracts more and more athletes and, above all, quality. Campestrin, Don Torresani, Ludvigsen, Tassani-Prell, Wyatt, Bonora, Goetsch, Manzi and Facchinelli are champions of the highest quality. 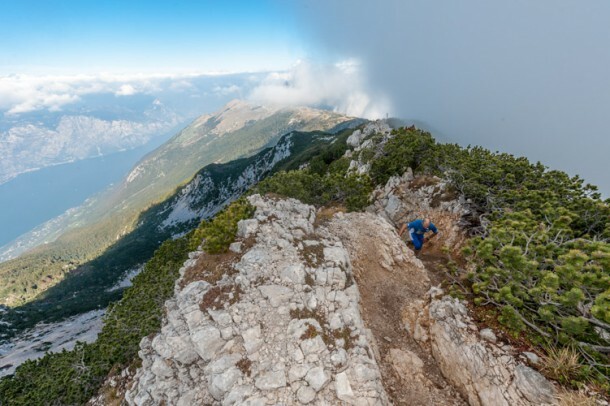 The path is a very nice, a beautiful trek through the woods and the wonderful Nature Reserve Lastoni Selva Pezzi, one of the most interesting areas for flora and fauna on the whole Monte Baldo range. There are many different types of terrain: hard based and rocky, loose stones, woodland tracks, tarmac and mule paths. When you leave the woods you will find wonderful views over the Lake and the surrounding mountains. At Cima Pozzette you will enjoy a wonderful panorama of Malcesine which combines the natural beauty of Mount Baldo with the blue colour of Lake Garda. At the end of the race you can enjoy the pasta party and the price giving organised in an ancient military building in Tratto Spino. The day will end at Speck Stube where the organisers together with the participants will celebrate another edition of Lake Garda Mountain Race. 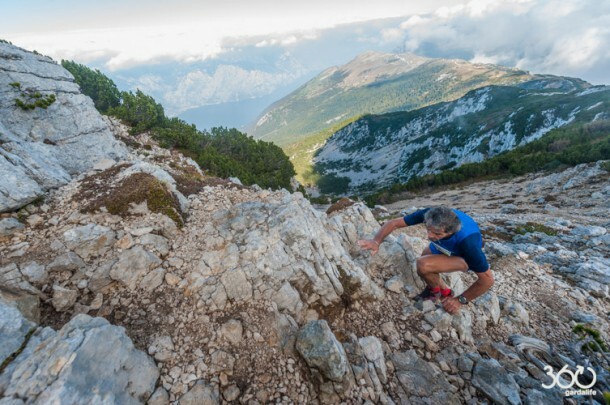 The fifth edition of the Lake Garda Mountain Race will take place in Malcesine on October, 10 2015. Since 2014 the race path has been marked with route markers. You have no more excuses, try it out and sign up for the race! You pay less if you register in advance! The association will assign a special award to the runner who breaks the existing record 2014 (1h 27′ 26”).